More than half of employers in Romania (55 percent) will pay premiums or benefits this year for employees on the Easter holidays, and almost half of them say that the value will be up to RON 150, according to a poll conducted by BestJobs. Also, in about 20 percent of cases, the premiums will be between RON 151 and 200, and the remaining 30 percent will be even higher. A fairly large percentage of employers, nearly a third, will not give any benefits, and 12.4 percent have not yet made a decision. Of those who responded affirmatively, nearly 40 percent said they would give bonuses in cash, and 34 percent would give employees vouchers, and fewer will provide gift baskets with specific seasonal products or additional days off. Over 20 percent are undecided about the form of the Easter benefits they will grant their employees. In any case, few can afford to increase the amount of premiums or benefits to be granted in 2019. 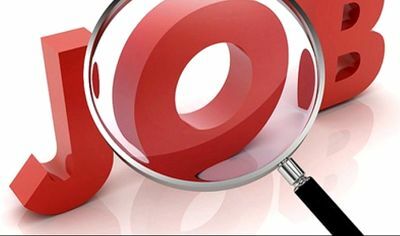 About two thirds of employers who will award Easter bonuses say they will have a value similar to last year, 16 percent say will be 5-10 percent higher, and about 11.8 percent said that the value of benefits will be 20-25 percent higher than in the previous year. The remaining 6 percent claim that the value might be slightly lower. On the other hand, three out of five employees want a cash prize from their employer, while 12 percent prefer gift vouchers. Another 14.5 percent of employees are even dreaming of a city break offered by employers, 7.3 percent would like an extra day off, and a few – 6.6 percent – say they would like gift baskets. Almost half of the employees who answered the questionnaire said they would set aside a budget of up to RON 500 for Easter Holidays, and a quarter between RON 500 and 1,000. Another 10.6 percent will spend between RON 1,000 and 2,000 and very few – 3 percent – will be able to spend over RON 2,000, while the rest are undecided. 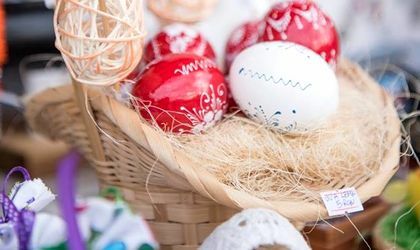 As expected, most of the money will be spent on traditional Easter products (50.3 percent of respondents), on family gifts (17.2 percent), on travel (10 percent), or on new clothes (5.3 percent of respondents). Seven out of ten employees will spend Easter at home with their families, 10.6 percent of respondents say they will make a short trip in the country and 6 percent will travel outside the country. However, asked whether they would have to work on this short holiday around Easter and May 1, only two out of five employees said they would not work at all, a quarter could not say and the others said they either did not have enough remaining days off, or that they would work, even if it is for less than an hour a day. In fact, 37 percent of respondents said they would not take any extra days off around Easter and May 1. Nearly two out of ten responded that they would take one extra day off on April 30, while 17 percent would take as many as 3 extra days off. The BestJobs poll was conducted between March 1 – March 25 on a sample of 758 internet users, representative at the urban level.